Have you been searching for bounce house party rentals available in Pinellas Park , Florida? Are you in the market for outstanding birthday party ideas? Well, congratulations! 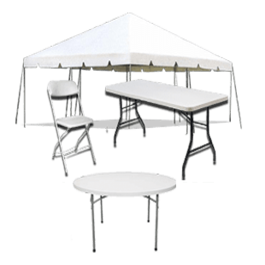 You have just clicked on the site with the solution to your search….Done Rite Party Rentals. We are a family operated business that rents bounce houses and other party inflatables for the enjoyment and amusement of Pinellas Park residents. We set up and secure all of our inflatable equipment ourselves and once the celebration is over, we take down and remove every party rental from the premises. Maybe you like to roam the grounds of Pinellas Park’s well known Wagon Wheel Flea Market on the weekends or look forward to Pinellas Park’s annual “Country in the Park” festival but you really don’t have to wait for those moments if you plan a party for your child’s birthday or any special occasion throughout the year. We’re not just talking about any run-of-the-mill celebration...we are thinking of specially themed entertainment with our rental inflatable bounce houses, water slides and games. The work is on us...all you have to do is visit and partake in the fun with your guests. The health and safety of our customers is a priority. Therefore, all of our bounce houses and water slides are inspected, cleaned and disinfected prior to use. 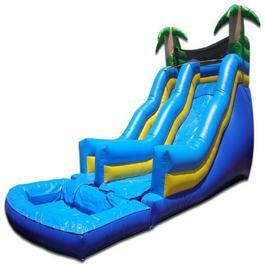 It’s important to Done Rite Party Rentals that all party inflatables and related items arrive in a timely manner. All bounce items (moonwalks and water slides) and games, etc. will be delivered to the designated Pinellas Park location well before the festive activities begin. After all, the fun can’t begin without the entertainment. Birthdays are not the only occasions that benefit from renting our inflatable party rides. 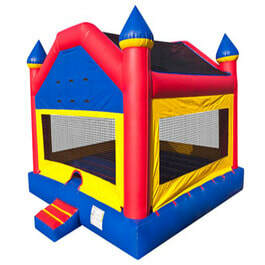 Our rental bounce units are available for carnivals, fairs, church events, picnics and much more. Sometimes, we find that customers think outside of the box and rent our inflatable toys for events, such as Bar Mitzvahs or First Communions. Whatever way you opt to celebrate your special occasion is up to you. We, at Done Rite Party Rentals aim to please. 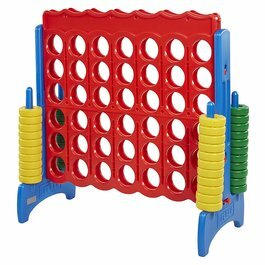 In addition to bounce houses, castles, moonwalks, jump houses and water slides, Done Rite Party Rentals provides a selection of games. You can rent one or more of our inflatables alone or you can combine both bouncers and games to create a party that your guests (both young and old) will never forget. Our bounce inflatables come in assorted themes. Our slides come in sizes that accommodate the youngsters and sizes that are more fitting for adults. We have found that many an adult gets a kick out of sliding down our large water chutes. We offer a varied selection of interactive party games. Ask for some suggestions. All the running and jumping in the heat of Florida’s sun is bound to work up an appetite. Our popcorn machines go a long way to help party goers fuel up for what activities come next. You should consider renting one of our snow cone machines to help cool your guests down. 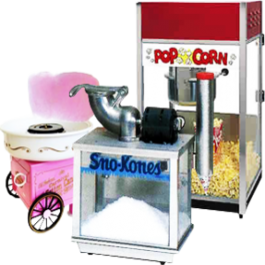 For an extra special treat with a circus touch, try renting one of our cotton candy machines. Thirst can be a problem while partying in the sun...we can also supply your event with cold beverages (soda and water) if you would rather not go through the hassle of bringing your own. Done Rite Party Rentals is licensed and insured.